Last year in this space and on this weekend, I wrote a piece titled “UTMB Envy” in which I spoke about how badly I want to one day run UTMB and how every year around this time I envy those who get to do so. This year, I am sad to say, I feel the same way. I really wish I was heading over to Chamonix, France like many of my friends and not just to run but I’d also love to go over there to see the whole thing unfold. I completely agree with Bryon Powell, who wrote in iRunFar’s men’s preview article on Monday that this year’s UTMB is the deepest, most competitive men’s field ever assembled for a trail 100 miler. And in reading that, it reminded me of a time seven years ago when he and I said the same thing about the men’s race at Western States. The 2010 Western States 100 turned out to be an inflection point for our sport and to this day resonates with me as one of the single best days of competitive ultrarunning I have ever seen. Perhaps this year’s UTMB will be another such inflection point. First of all, there were ‘the big four.’ Two-time defending champion, Hal Koerner, was returning and by all accounts was in the best shape of his life. Two-time Leadville Trail 100 Mile winner Anton Krupicka was coming to run his first Western States after a series of impressive tune-up races and a seemingly incomprehensible training schedule. Alaskan Geoff Roes was making his way to Squaw Valley, California to run his first Western States after completing what was, perhaps, the single greatest season of ultrarunning ever. And, Catalan phenom Kilian Jornet was making his North American ultramarathon race debut after wowing the ultra world with his exploits in other parts of the world. For most prognosticators, the winner was going to come from one of those four. However, chasing that group were some impressive runners, some names that will still be recognized and others perhaps less so. Zach Miller was back as one of only a few returning top-10 runners from 2009. Nick Clark and Ian Sharman were running, believe it or not, their first Western States. Gary Robbins was coming down from Canada, Neal Gorman from Virginia, and Leigh Schmitt from Massachusetts. To top that all off, the grand master himself, Tom Nielsen, was returning to Western States after several years away. In short, it was a stacked field in which most of us believed anything could happen. And, indeed it did! On the slightly modified course, in the end, Geoff Roes closed hard after Foresthill, passing Anton Krupicka at mile 89 and going on to set a new course record. Krupicka held on for what was, at the time, the fastest second-place finish ever and Kilian Jornet, after making a few rookie mistakes, managed a third-place finish. Hal Koerner didn’t have his best day and ended up dropping at the river crossing as did Leigh Schmitt. Miller, Robbins, Clark, and Sharman, however, all went on to impressive top-10 finishes and the race went down in history. To this day, I can still feel the energy that was coursing through the awards ceremony that hot June Sunday afternoon. It was positively palpable. Looking at next weekend’s UTMB, I have a hunch it could be quite similar to that 2010 Western States. While certainly the field is deeper and more robust and the cast of characters is different, it could, nonetheless, be another inflection point for the men’s side of our sport and that is wonderfully exciting! This week’s Beer of the Week comes from Boulevard Brewing Company in Kansas City, Missouri. 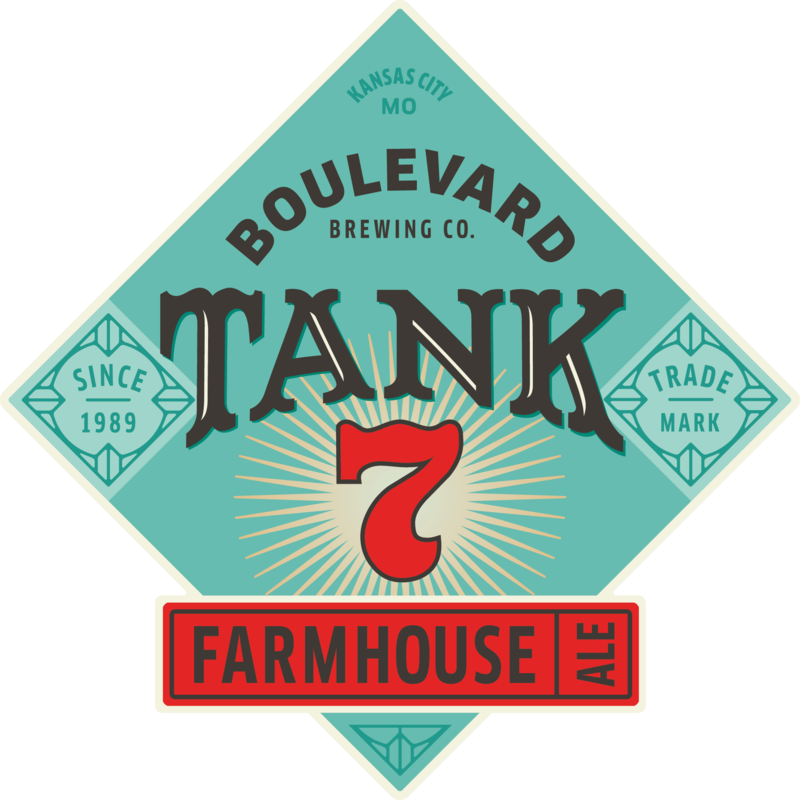 Their Tank 7 Farmhouse Ale is one of the best of this variety I have tasted. It’s fruity yet dry with just a touch of sourness. Wonderfully drinkable and simple. Do you remember the 2010 Western States men’s race? What stories from the race can you recall? What about this idea of inflection points? Do you think next week’s UTMB could be an inflection point for the men’s side of the sport? Can you think of parallel inflection points for women’s trail ultrarunning? What races shifted what we think we know about it? I can see how the 2010 maybe meant a turning point for how competitive US 100s were (although maybe someone with better knowledge of the sport could show me otherwise), but I don’t see any result in the men’s field at UTMB being a turning point of any sort for the race or the sport as a whole. Individually? Sure, a number of runners could have their first 100 miler victory, and maybe consolidate their position at the top of the trail ultra scene. Maybe young runners will begin to take over more experienced ones. Maybe an American male will win, but the US guys are already performing super well in international races and have several podium finishes at UTMB. The only turning point I could imagine would be if one or more of the top guys tested positive for PEDs and that led to greater awareness and efforts to prevent doping in our sport. Although I think those guys are clean. Did you expect anything else? I’m not hard to read. Plus, I think this is the year the US puts 6 guys in the top-10. Haha, no, but it’s kinda bold having Killian beat not by one but by two other runners. Or Miller, out of an injury that’s compromised his training, beat Tollefson who is looking even better than last year. 6 Americans in the top 10 is entirely possible, just as possible as an all-Euro top 5. There’s too much talent in this race. There’re going to be some epic blow-ups. I think when Killian toes a start line healthy. Rest of the field races for second place. Hope I’m wrong but I can’t see an American making it into the top 5. European lineup is too strong. Jornet , Francois , Xavier & Capell among others are just a cut above on that course. One thing for sure though there ll be fireworks! Precisely why I believe it’s likely an inflection point for the sport. We’Il see. I’m surprised to see how much the only American who has proven he can compete with the world’s very best on this type of terrain and distance flies under the radar… Nobody remembers last year’s Hardrock and Jason Schlarb’s amazing race (tied with Kilian, in front of Xavier Thévenard) ? You don’t think Tollefson, Laney and Miller have proven they can compete with the world’s best? And, I love Schlarby and hope he proves my top-10 list above dead wrong. Just like Cat Bradley did at WS. Tollefson: Has been training with UTMB in mind. Miller: Lives in a cabin at high altitude. Walmsley: Has been running at high altitude since at least HR100. Heat: Thevenard did not respond well to the heat at HR100. I don’t think Jornet is very fond of heat either. If hot during UTMB, I would say advantage Walmsley. Not sure next week will be as warm as it was at mt blanc 80k this year which was sweltering (Can vouch for it first hand . Well into the 90s in parts) where thevenard had a hugely impressive win. I know it’s a shorter race than the 80k and 75% longer timewise but with the start time prob same amount of day light hours albeit hitting hottest part of day late on. Again though Xavier seems to be a diff beast in chamonix. Is Miller fully fit? TT will have to go hours faster than last year to top 5 (would love to see it happen) and walmsley is the most exciting prospect of all.. if he listens to byrons advice in the preview article he could make it very interesting. no disrespect to him I hope he smashes it but to handle the likes of kilian and Francois on that course.. According to Thevenard himself, heat was his biggest problem at HR100 (but he still placed 3rd…). Rory Bosio crushed UTMB, it’s only a matter of time before an american male will do the same. The Europeans are beatable. Kilian doesn’t even consider himself a runner and he doesn’t train specifically anymore, ipso facto someone who does will beat him sooner or later, and maybe even in a week from now (that doesn’t make him arrogant or anything less than one of the greatest athletes EVER). UTMB is totally open. Finally a Beer of the Week that I have actually tried! Two other great Boulevard selections are their 80-Acre Hoppy Wheat (almost tastes like an IPA crossed with a traditional wheat beer) and their Bully Porter. Really hope this is the race that Walmsley runs within himself and puts it all together. 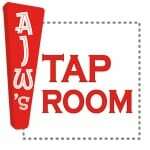 AJW, thanks for giving props to a local, Midwest beer. Tank 7 is one of my favorites. Let me know and I’ll hook you up with some other great Kansas beers. Oh, and I can’t see Walmsley winning this. Jornet or D’haene for the win. Yeah, the Midwest brewers are bringing their A Games these days. Like Walms will do this weekend. I think he’ll win. Straight up. Walmsley has yet to run a complete 100 mile race. Still lots for him to learn and control his ego. Gifted yes. Killian, jeez–his year would be crazy successful if he won. But hey look what he has done already. Walmsley 3rd place at best…still a work in progress. Walmsley finished 2016 WS and ran under CR until 93. Does anyone doubt that if he hadn’t taken a wrong turn, he wouldn’t have the WS CR? Yes, plenty of people doubt it. Why is it so hard to understand that his wrong turn is a blow up, most likely resulting from exhaustion. Good pacing for a 100 miles must last a 100 miles. Try Boulevard’s Saison-Brett, it’ll change your life (born and raised in KC so I’m a bit biased). Well, I’m from New Mexico; yet I agree regarding Saison-Brett. Sometimes bias is well earned! I’m rooting for Sage and Walmsley to keep it together and put in strong finishes. Jim is going to have to run with his brain instead of his ego if he’s to have any chance at all. He largely beat himself at Western States. Likely Killian will beat him at UTMB, even if he figures out how to race smart (e.g. not pound beers while doing interviews the day before the race). 2015 Thevenard: Front-pack until around 1/2, then starts building a huge lead. 2014 D’Haene: Front-pack until around 2/3, then starts building a huge lead. 2013 Thevenard: Front-pack until around 1/2, then a few minutes behind at 3 aidst., before steadily building a solid lead. 2011 Jornet: Front-pack until the end, outruns 2nd place after last aid station.